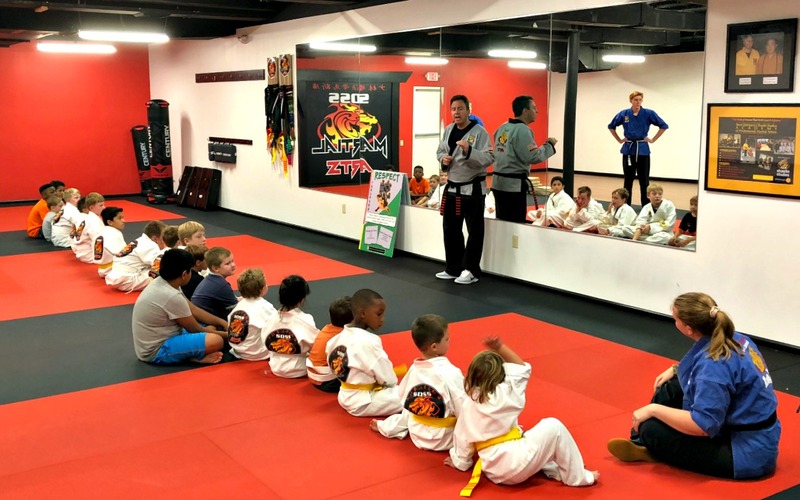 Grandmaster DeMasco and Senior Master Mikael Meyer are proud to announce the opening of our 15th studio, in West Hartford, Connecticut, on September 8, 2018. 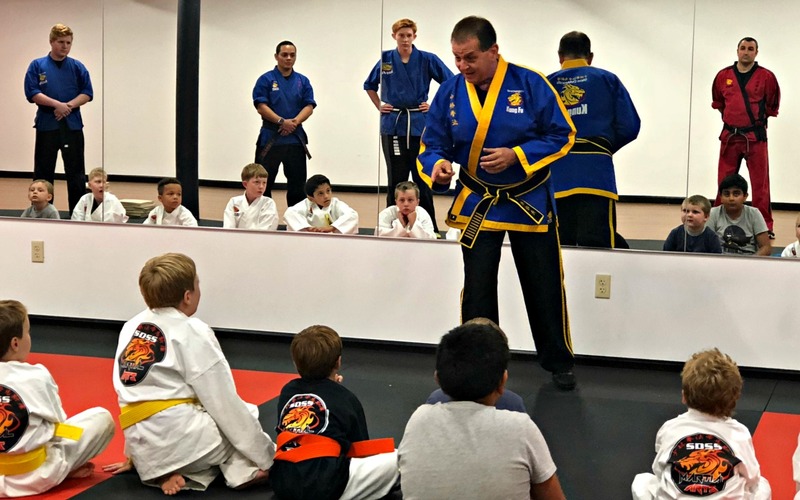 Sifu Andrew Collard first began training with Chief Operating Officer Master Mikael Meyer back in 1997. 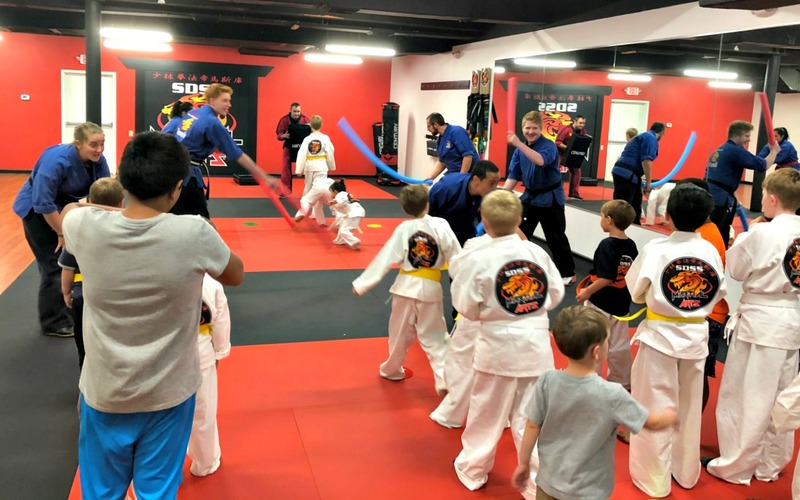 Following a brief leave during 2006, Andrew returned and entered the SDSS instructor academy to begin learning how to teach kids the lessons, philosophies, and martial arts that the Steve DeMasco’s studios are renowned for. The couple can’t wait to get started. “One of the best things about our business is that no one is ever alone. 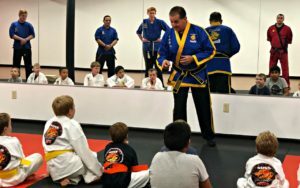 We can always contact Master Meyer or a fellow instructor for assistance or scheduling newcomers. 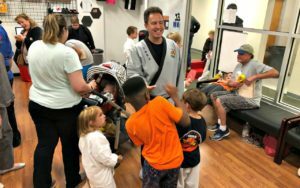 During my academy days, I was able to meet with Instructor Chris Schaefer at the Newtown studio to learn of the business training required for instructors.” Whether a student or an instructor, everyone always has a productive day in the studios, and have a lot of fun in the process. 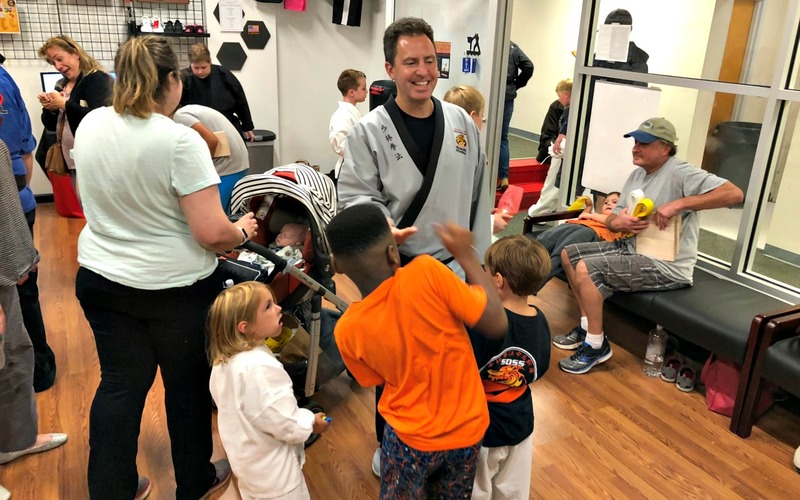 “I’ve known Andrew for years, so I was very pleased to see him enroll in the Instructors’ Academy. He is a terrific teacher and a family man. 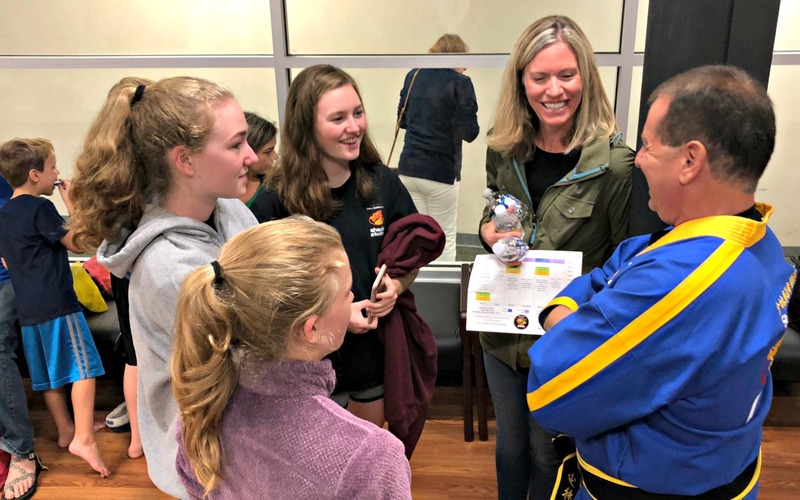 Just the perfect fit for West Hartford,” said Senior Master Mikael Meyer. 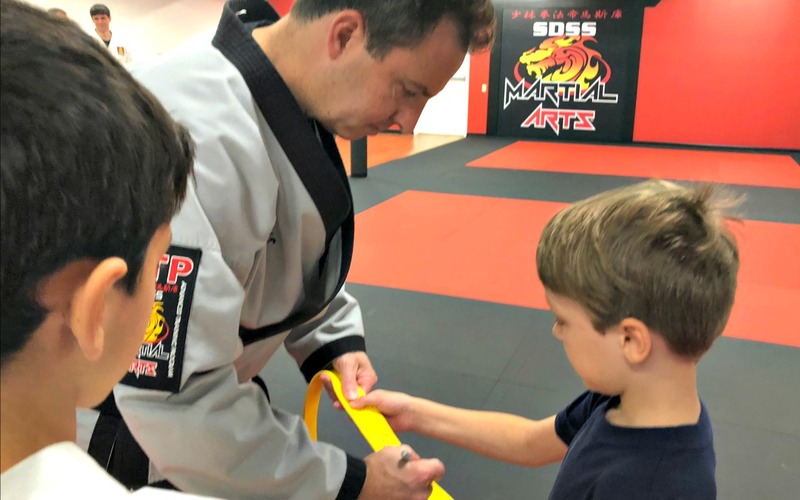 Sifu Andrew is an SDSS Certified Black Belt and trains regularly with Master Meyer and Grandmaster DeMasco. Grandmaster Steve DeMasco and Senior Master Mikael Meyer came to the grand opening on September 8th, at the West Hartford Studio in the Crossroads Plaza. This was a catered event that was free and open to the public. 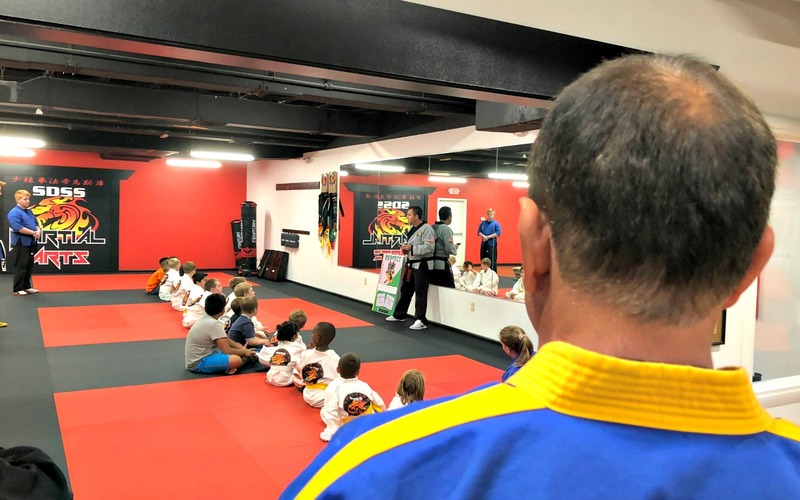 The afternoon began with a belt rank promotion test for about 20 West Hartford students, held by Senior Master Mikael Meyer. 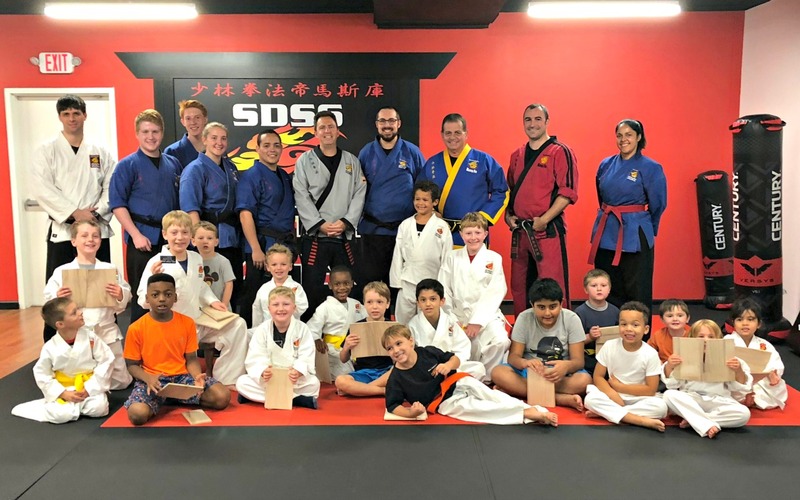 Next Sifu Andrew and a team of SDSS Instructors from around the state led a high-energy kung-fu class, followed by a lesson in the SDSS Life Skills program.